A local photographer in London will guide you on the best spots : Trafalgar Square, Buckingham palace, Big ben, River Thames, Millenium Bridge, Saint Paul's Cathedral. On demand photographer service available for engagement, elopement, wedding, surprise proposal, family, solo or just romantic photo sessions. 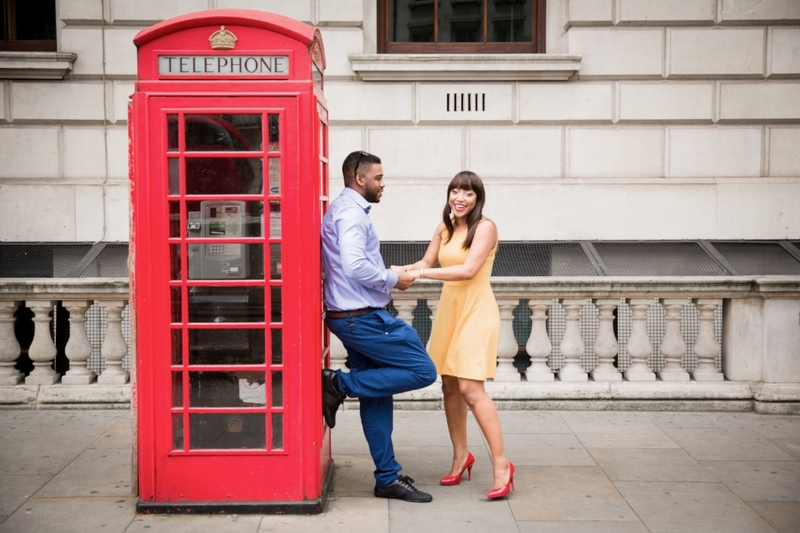 Choose your preferred date and time and let us choose the photographer in London you need. Enjoy a 1 or 2hour photo tour with your photographer in London. We were booked with Alina. After booking was confirmed I asked if I could see some of her previous photos and customer services sent me a link to her gallery. She then sent me a link to her IG page, in her welcome email. Alina was amazing to work with. Super sweet, super professional and she spoke English! Lol she knew all the great spots to capture some great shots. She also didn't mind monument hopping with us because we had to get all of them in our photos. She was an extreme pleasure to work with and our photos came our great. It's barely been two weeks and I've already put some of them up in our home. The best photographers in London, only. Book in 3 clicks a photo session and enjoy a unique experience.